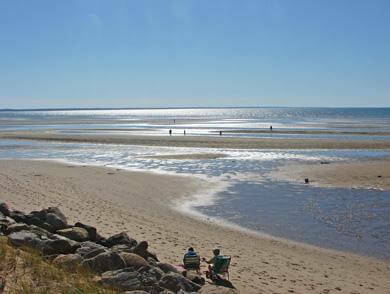 This popular beach is a good spot to sit and enjoy the sun and water. 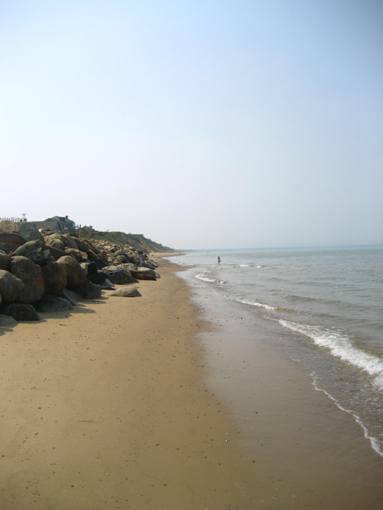 It is a relatively small beach with calm waves. There is a lot available for parking and a daily fee is required. Family friendly. 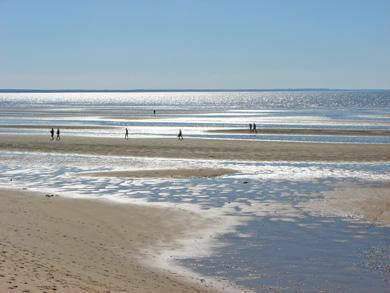 Beautiful for watching the sunsets and long walks onto the tidal flats at low tide. Always parking available and town managed. 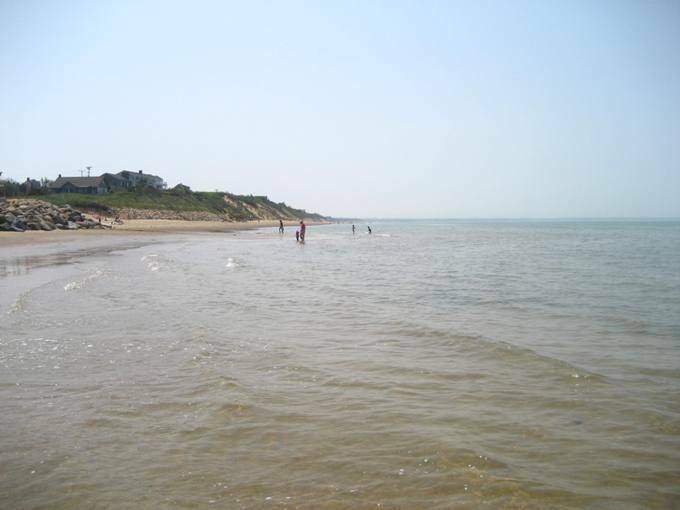 A short walk to the house [Eastham Vacation Rental ID 23737], lots of sand and sun! 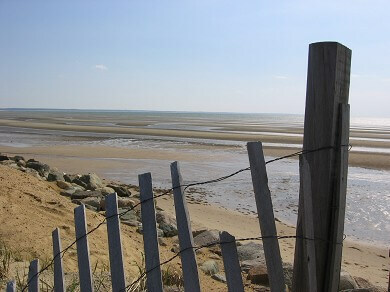 When the tide is low you can walk out for miles! 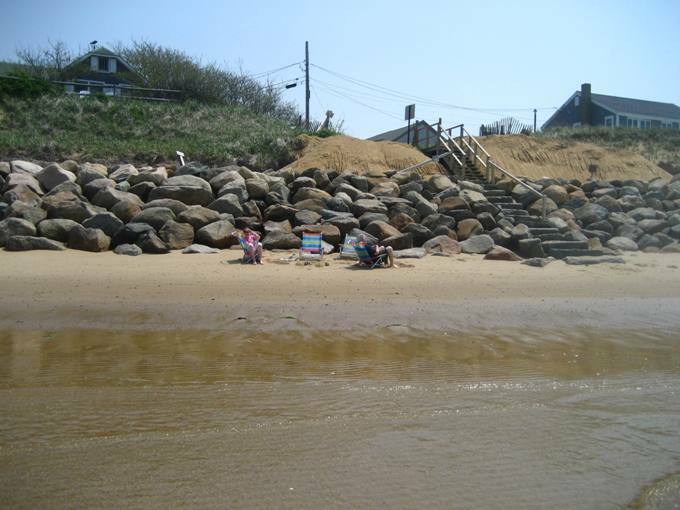 We spent many happy hours sitting here watching the tide come in! We enjoyed daily early morning walks from Campground Beach to Kingsbury Beach. Flat and easy for a senior citizen to navigate. Great bay beach, with decent portapotty and the Buzz Bus -- it brings coffee drinks to the beach!! -- stops by often. 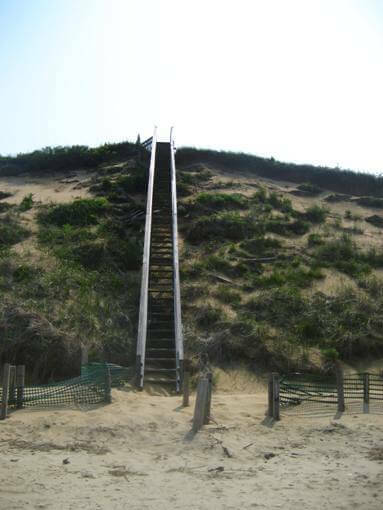 No steps, gradual sloping makes access easy, Very pretty rock lined banks with sea cottages and grasses set on the hillside, picturesque,14 sandbars that go out for ever in low tide, warm, clean water, tidal pools with interesting life in them, The Chocolate Cafe Buzz Truck and Ice Cream trucks come to visit, public bathrooms available. Can walk to The anding from the beach for sandwiches, drinks and necessities. Clean and small, private, warm & calm - safe enough for toddler to play as well as enjoyable for teens/tweens & adults. Was great to walk to the bay for sunset almost every nite. Great for walking, shelling, and low tide wading that goes on for ever! Favorite beach because there are no stairs to access beach but Thumpertown Beach perfect for sunsets. Sandy beach, no rocks, incredible sunsets! 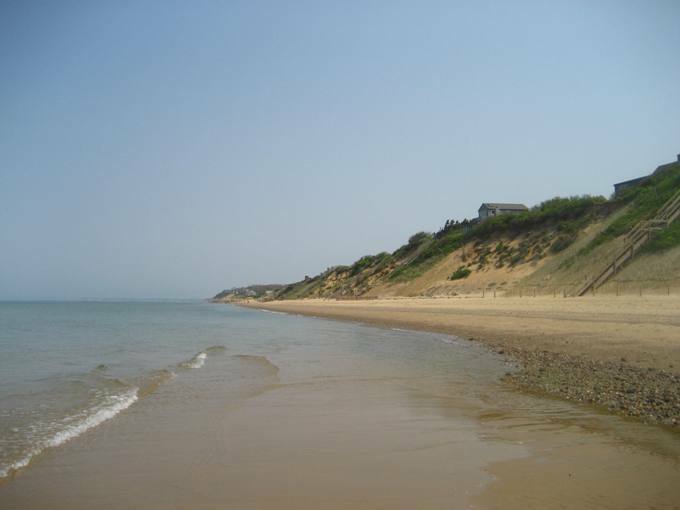 The water isn't as cold on the Bay side vs. the ocean side at Nauset Light. Also easier to park in their lot and have access to your car. A small beach, but a hidden gem. It wasn't busy at all, and most beachgoers were families with children. It's on the bay side, so the water is calm and warm. This is my new favorite beach! no crowds, and mellow for young kids, low tide was awesome!